Gain the essential pathology understanding you need to produce quality radiographic images! 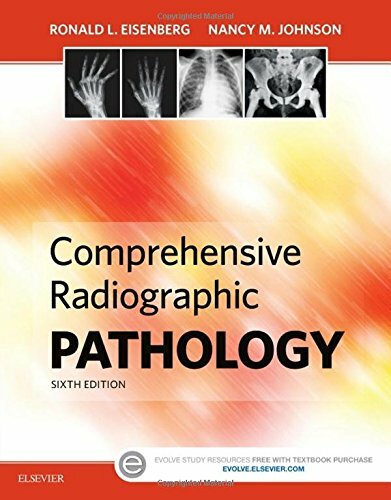 Covering the disease processes most frequently diagnosed with medical imaging, Comprehensive Radiographic Pathology, 6th Edition is the perfect pathology resource for acquiring a better understanding of the clinical manifestation of different disease processes, their radiographic appearances, and their treatments. This full-color reference begins with a general overview of physiology, then covers disorders and injuries by body system. The new edition also includes the latest information on CT, MRI, SPECT, PET, ultrasound, and nuclear medicine ― including updated radiographer notes, images, and review questions. Systems-based approach organizes the pathology of various body systems in separate chapters ― each chapter provides an initial discussion of general physiology and then explains various pathologic conditions and their radiographic appearance and treatment. NEW! Updated radiographer notesincorporate current digital imaging information for both computed radiography and direct digital capture.